What a joy it is to pop in a CD and be thoroughly entertained by each and every track. 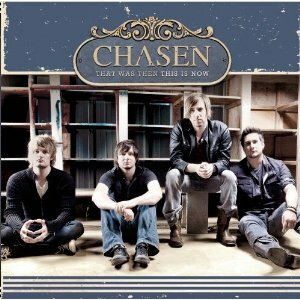 This is definitely the case for the latest release from Chasen entitled, That Was Then, This Is Now. This album has threads of Goo Goo Dolls, Matchbox 20 and MuteMath that combine with Chasen Callahan’s incredible creativity to create a fresh musical tapestry. Interwoven into the tracks is a strong spiritual message that doesn’t sacrifice the music for the message. In fact tracks like Airplanes and One In A Million have a strong commercial sound that could propel this album to mainstream success. This album is also destined for critical acclaim. I will be very surprised if this album doesn’t garner a Dove Award or two the next time around! If you like great rock artists like Coldplay, Edwin McCain and Switchfoot, then you definitely need to pick up this album and make it a part of your collection today!